For young people, international youth exchange schemes are unforgettable experiences. Organising them requires great effort. What do organisers have to take into consideration? 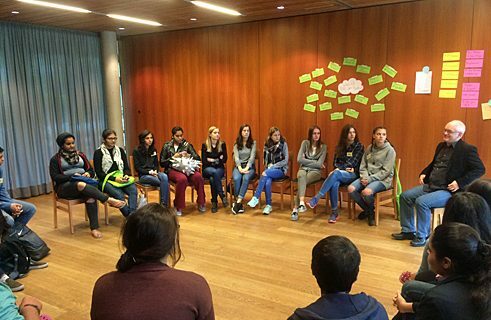 Read more in this interview with Clara Schaksmeier, Project Coordinator for Youth Exchange Schemes at the Goethe-Institut. Ms Schaksmeier, what kind of youth exchange schemes do you coordinate? I organise youth meetings which take place outside school and which embrace a specific topic. The participants do not know each other. Last year, in 2016, I organised an exchange between young Germans and Vietnamese that dealt with the topic of “Environment and Sustainability” and a radio project with media-savvy Indian and German teenagers. Who decides on the topics? That varies: the young people themselves, a teacher or the organisers. It is important to find cross-cutting topics that interest both young people from abroad and as well as those from Germany, such as the environment or the theatre. Using the example of the radio project, could you explain in concrete terms how one of these youth meetings actually gets off the ground? Photo (detail): © Privat After we had agreed with the Goethe-Institut in New Delhi on the aim of the project, the target group and the topic of the youth meeting, we asked young people from Germany and India who were interested in taking part to send us a letter of motivation. This helped us to ensure that the participants were not only interested in the other culture, but also in the medium of radio. We invited a total of 22 young people from Germany and India to spend a week at Lake Starnberg in Bavaria. While we were finalising the seminar schedule, we also applied for the visas for the Indian teenagers, planned their trip, booking the flights, trains and rooms. On the first evening the participants got to know each other and talked about intercultural aspects, such as the different ways we interpret certain gestures and behaviour. On the following days, a lecturer explained the theoretical basics of radio production. Afterwards, the young people worked on their own topics, interviewed passers-by and edited their contributions. After their departure, we paid bills, wrote reports, assessed evaluations and did the follow-up work on the seminar. How did you prepare the meeting, what were your tasks as a project coordinator? In addition to planning the content, I was involved in the selection of the lecturers. In addition to them being competent, it is important that they are able to adapt to the language level of the foreign teenagers. I was also responsible for the selection and coordination of the supervisors. They are the key players at a youth meeting, and it is very important that the coordinator can rely on them. All the supervisor teams were great. Before and during the meeting, I was the contact person for their questions and concerns. A major part of the preparation went, among other things, into planning and booking the accommodation, arranging the arrival and departure, organising the catering. Six German and 16 Indian students meet in autumn 2016 in the youth hostel Possenhofen near the Starnberger Lake to explore radio broadcasts. ... but the projekt arouses enthusiasm. In small, binational reporter teams the students are producing individual radio features. Obviously, the project manages to do what people expect from exchange programmes: Understanding among nations across continents and cultures. What should teachers who want to organize a youth meeting pay attention to? The main thing is not to underestimate the time factor. Teachers should start organising things well ahead of time. It is a long process - starting with deciding on the right idea, then selecting the partners, then the financing, then making the travel arrangements, then the actual meeting itself and finally the follow-up. In addition, they should be in close contact with their partners abroad – for me joint commitment is the basis for a successful youth exchange scheme. What challenges do the organisers have to deal with during the meeting itself? Something unforeseen always crops up: suitcases not arriving, someone becoming sick or a speaker cancelling at short notice. The organisers have to therefore be good at crisis management. In addition, it may be necessary to discuss individual intercultural aspects during the meeting. It is, of course, part of the preparation to raise awareness among these young people for the other culture. Nevertheless, the organisers should also react promptly and properly to any cultural misunderstandings. One of the main aspects is the financing. What are the options? Special promotion schemes have been introduced for exchange programs with France, Poland, the Czech Republic, Israel and the Russian Federation. To obtain funding for both school and non-school-based exchange schemes with participants from these countries, the relevant international youth organisations or coordination agencies can be contacted. These special funding programs, however, are the only ones that do not distinguish between school–based programs and non-school-based programs. For non-school based exchange programs, interested persons can also contact the ministry in a German federal state that is responsible for international youth programs, provided that the objectives of the youth exchange are relevant to that particular federal state. The Fachstelle für Internationale Jugendarbeit der Bundesrepublik Deutschland / IJAB (the International Youth Service of the Federal Republic of Germany) also organises projects on youth policy issues with international partners and provides networking for both domestic and international participants. It also provides tips for the sponsoring and funding of youth exchange schemes. German teachers can also enquire at the Pädagogischer Austauschdienst / PAD (Educational Exchange Service) about possible financial support for an international exchange of school classes. What kind of funding options do foreign teachers have? The Pädagogische Austauschdienst /PAD (German Educational Exchange Service) provides funding opportunities for foreign teachers who want to organise a meeting with German teenagers. However, the application must be submitted by their German partner school. The Dachverband gemeinnütziger Jugendaustauschorganisationen / AJA ( an umbrella association of non-profit youth exchange foundations) can provide further comprehensive information about youth exchanges and refer interested parties to local contact persons. Teachers can, of course, on their own initiative, also apply to companies or collect money for a youth exchange scheme, for example, by holding a fundraising event or by arranging a donation marathon or a raffle. No matter how you finance a youth meeting - no effort is too great when you see how they create international friendships and open up new perspectives. 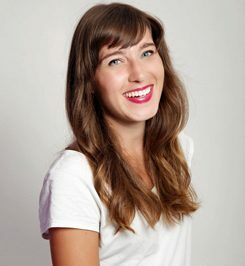 Clara Schaksmeier (born in 1989) has been working as a youth exchange coordinator at the headquarters of the Goethe-Institut since September 2016. She has a teaching degree in English and economics and spent three months as an intern in Vietnam as part of the SCHULWÄRTS! program. At Goethe-Institut headquarters, Sebastian Vötter, Jennifer Waag and Clara Schaksmeier are responsible for running the project. Olav Schröer coordinated the project at the Goethe-Institut New Delhi. has taught German as a foreign language and works as a free journalist in Berlin.